Ginny has a successful career, nice home and good friends. The only thing she's missing is love. Her past attempts at dating always seem to end badly, until a friend recommends some romance novels. Meant to be instructional, Ginny laughs off their usefulness. Ian is a powerful Scottish laird, living in Medieval times. As the new leader of his clan, he is honor bound to make decisions that benefit his people. Tough, but fair, Ian has made a name for himself among the clans of the Highlands. A freak accident leaves Ginny in a world within herself, the world of the romance novel heroine. Fighting off an evil band of Lowlanders, Ginny meets her hero, Ian, powerful laird of the clan McKenna. 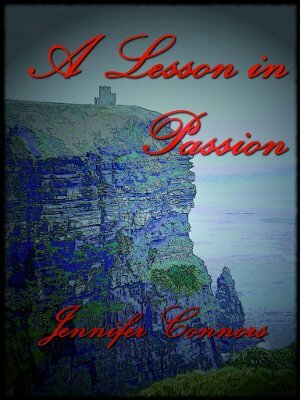 Ginny soon realizes she is in the body of an Englishwoman and is being forced to live with the McKenna clan. Ginny assumes she must fall in love to move out of this world and back into her own. So before her hero can marry another, she schemes to win him back and hopefully reach her goals.